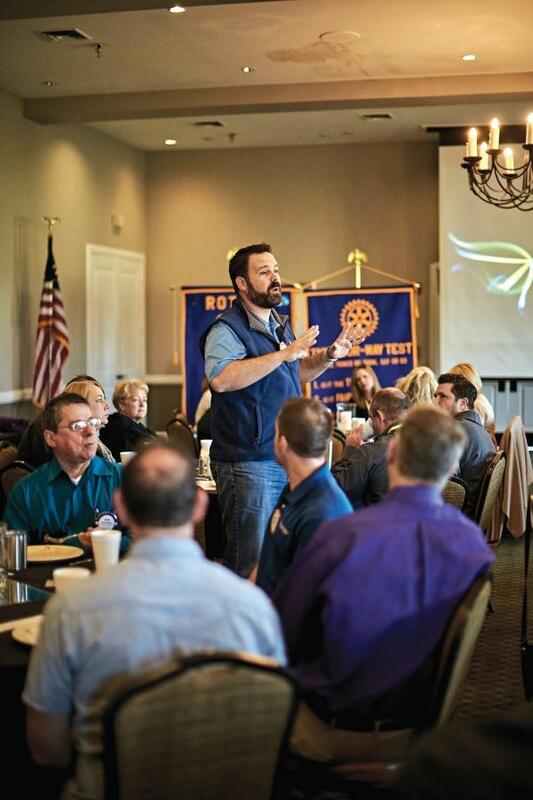 They knew that organizing a new Rotary club requires at least 20 members, but the Denton half-dozen had bigger ambitions. “We really wanted to charter with 50,” says Eads. In August 2015, they chartered with 62. They’ve grown every month since then. 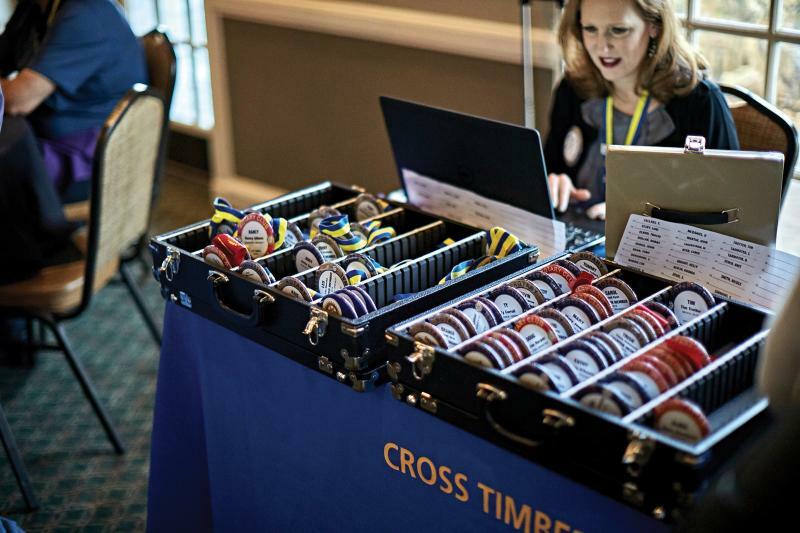 Today the Cross Timbers Rotarians motor through a handsome suburb to Friday morning meetings at Bridlewood Golf Club, where they marvel at the progress of one of the fastest-growing clubs in recent Rotary history. And they still like eating breakfast together. There are many reasons for Cross Timbers’ growth, from the club’s prosperous environs to its founders’ Texas-size ambitions, but two factors stand out: energy and innovation. From the start, the founders settled on a step-by-step plan to realize their ambitions. Rather than name the club for any particular town, they chose the more general name in hopes of representing more of the 1,000-square-mile Denton County, with its population of nearly 700,000. They chose Bridlewood for its well-appointed clubhouse, with conference rooms that can accommodate a crowd. They emphasized making Rotary more central to members’ lives than a mere networking opportunity. One result is a club almost evenly split between women and men. Four of the core six were female. Two – Andy and Ginger Eads – were married to each other. Other charter members joined with their spouses. Most important of all, perhaps, the founders were determined to make their club as positive as could be. Their unofficial theme was No drama, meaning no sniping at fellow Rotarians for anything short of major felonies. Eads sees mandatory weekly meetings as a drawback when it comes to recruiting new members. How many modern businesspeople can spare an hour a week? The Cross Timbers approach de-emphasizes attendance in favor of a more free-form involvement. When members gather for a camping trip, golf outing, cookout, Gulf of Mexico cruise, or just about anything short of a chance meeting at the supermarket, somebody asks, “Does this count as a makeup?” The answer is always yes. Each Cross Timbers member posts on the club’s Facebook page. “We’ve got 100 percent participation online,” says Fickling. You would be hard-pressed to find a highlight that isn’t recorded on the club’s Facebook page. A wine lovers group run by bubbly Tracee Elrod is typical. Each month, when 25 to 30 Rotarians and spouses gather at a host’s home for sips and appetizers – lamb stew to go with a New Zealand wine, or tapas to complement a Spanish Rioja – someone posts a photo or video on the Cross Timbers Facebook page. When the Fantasy Football group gathers, trash talk ensues on- and off-line. When the club’s Rotary Readers or Rotary Chefs groups get together to discuss a new novel or sizzle up some barbecue, they smile for selfies that pop up a minute later on social media. Ditto for another half-dozen groups, each with its own logo and fired-up members. Cross Timbers members also reach others the old-fashioned way, one good deed at a time. Fickling’s husband, Mike, a retired firefighter and paramedic, brought his own sort of engagement when he joined the club. He told other members about answering 911 calls. 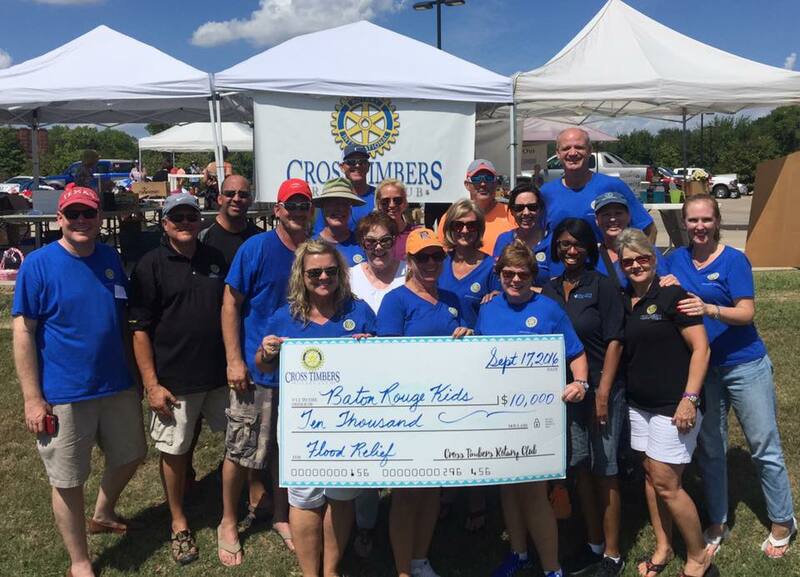 The firefighters bought the girl another pair, and after Mike Fickling joined the Cross Timbers club he helped organize a group called the Rotary Responders. “Anyone who needs help can call us,” he says. The hotline is Mike’s cellphone number. Not long ago he heard about a single mother who lost her home and possessions in a fire. The Rotary Responders, working with a local Wal-Mart, provided $500 in Wal-Mart gift cards for the woman and her family. In January, the Cross Timbers club gathered for one of its first meetings of 2017. By 7:45 a.m., dozens of smartly dressed Rotarians were chatting over coffee in a conference room with views of Bridlewood’s championship golf course. Soon the room was full. While the club stands by its no-drama motto, there was plenty of excitement. The bustle was wall-to-wall, with big hellos, hugs, and backslaps all around. President Fickling gave her blond tresses a quick pat-down and started for the podium. “Rock and roll,” she said. A second later she rang a bronze bell to start the meeting. Much of what happened in the next hour would be familiar to Rotarians from Keokuk to Calcutta. Using a wireless microphone to address the crowd, Fickling greeted guests and visiting members from other clubs. Then she introduced District Governor Mary Ann McDuff for a watershed moment: the induction of four new members, including the 100th Cross Timbers Rotarian. Eads brought golden balloons to mark the occasion, which was instantly recorded and posted on Facebook. Next, members tossed dollars into the club’s Happy Jar as they announced good news. Co-founder and incoming President Lori Walker – one of several consecutive female club presidents – took the mic to report an upcoming blood drive. “It’s going to be fun,” she said. Not the first word you might think of while donating blood, but social director Walker called it happy news. Each pint of blood would save three lives. Walker handed the mic to the next Happy Jar contributor, a man who had two announcements. 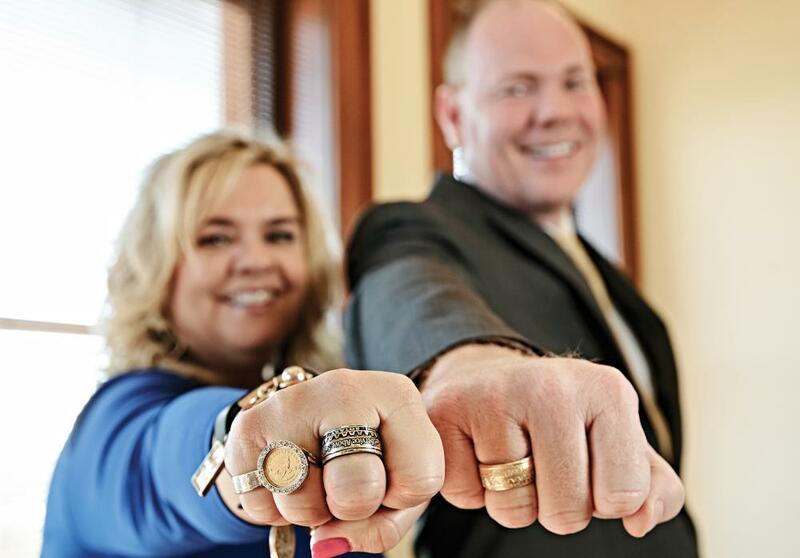 With club business done, Fickling handed the mic to Ann Pape, a member of the Rotary Club of Lewisville, Texas, and CEO of Communities in Schools of North Texas, a nonprofit devoted to helping students finish high school rather than dropping out. In some cases, that might involve tutoring or transportation. In others, it might be simpler. Festivities closed with a recital of The Four-Way Test and a chorus of “See you next week!” Pape thanked Fickling with an embrace, adding a line that might make Paul Harris blush. The founders expect the club to keep growing at a breakneck pace thanks to its blend of Rotary tradition and Cross Timbers innovation. - A movie based on Kevin Cook’s book Tommy’s Honor was released in the U.S. in April.